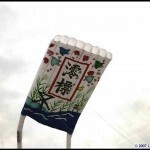 An old custom of Japan is for children to loft kites on the first day of the new year. 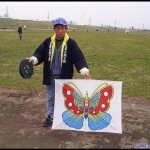 January 1st, 2007 was no exception and an army of little people was everywhere to be found tugging on kite strings!! 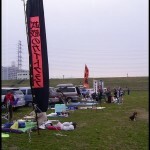 Kite enthusiasts from all parts of Japan attend this gathering, and often some foreigners. 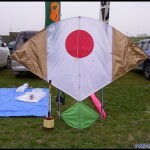 Advertised in local newspapers, foreign visitors can locate the venue using local transportation, and are always treated to a bowl of hot soup, some sake and a kite to fly. 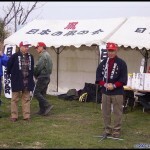 Having attended this event for many years, 2007 proved to be a rarity with no wind!!!! Some years its been blowing up a storm, others very little wind, but this year surprised us all with NOTHING!!!! 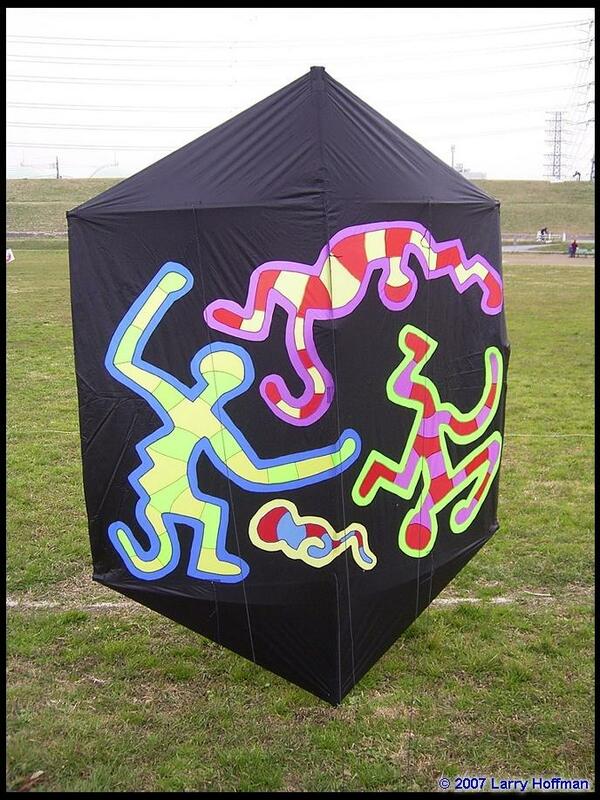 The sunshine and good fellowship notwithstanding, the event was called off immediately after lunch and we headed for home, hoping next year will provide us with the soft breezes to carry our kites aloft!!! 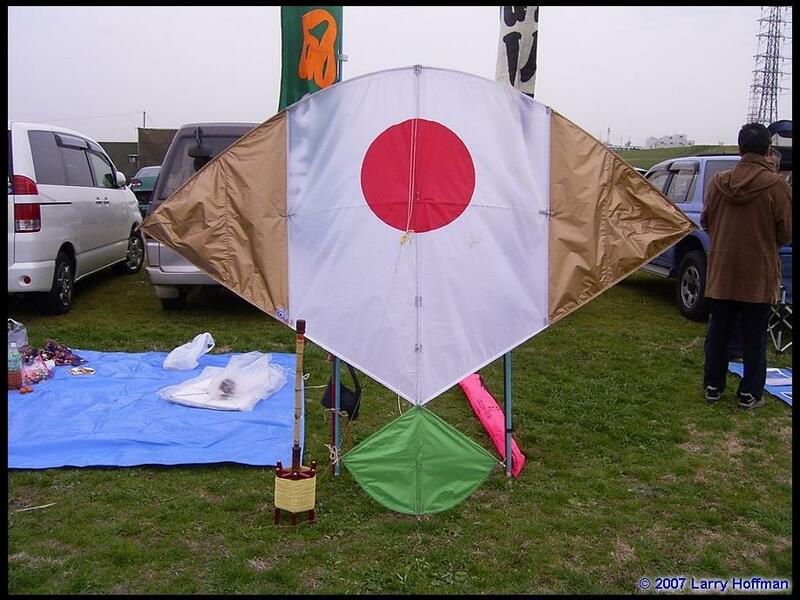 But the day was not a complete bust as everyone had a chance to swap stories with friends they only see at this kite gathering!! 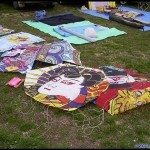 Some attendees had new kites to show, but most displayed their works of art made years ago. 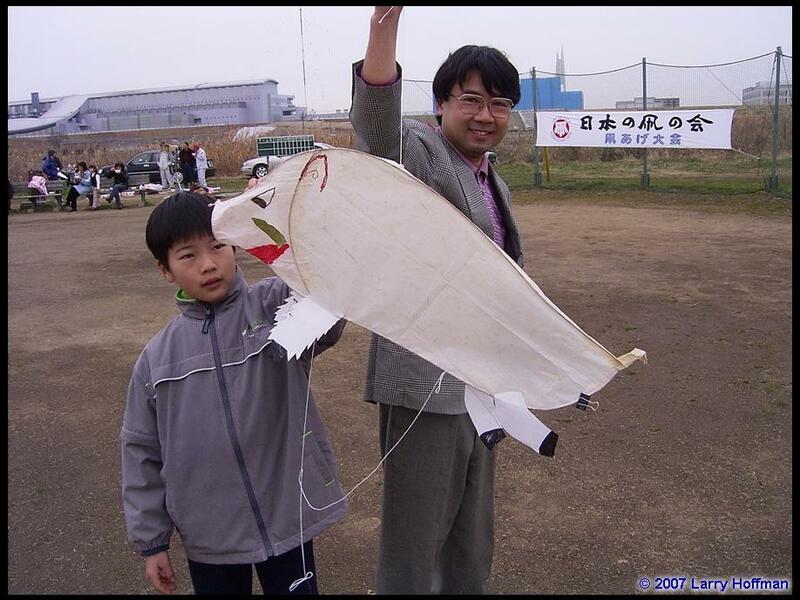 Mr. Toshihisa Kawakami specializes in making the Sode kite. 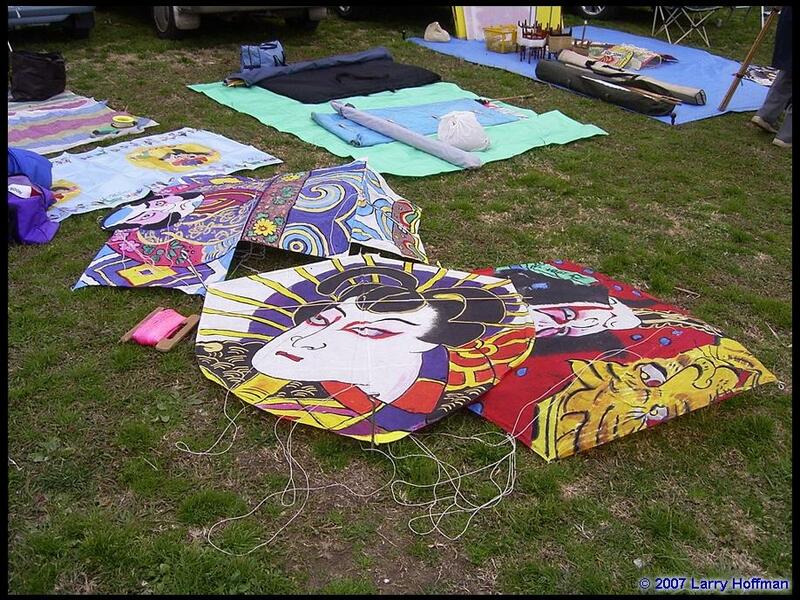 Shaped like a kimono, his kites exemplify the art of building and decorating Japanese kites! It should be noted the word Sode refers to the sleeves of a woman’s kimono. 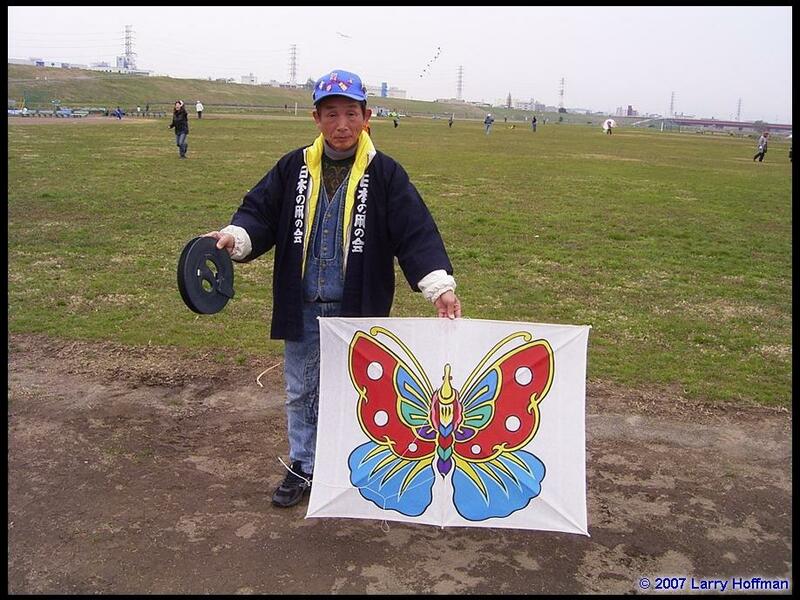 Longer than the sleeves on a man’s kimono, they are a fashion-point of this typical Japanese dress! 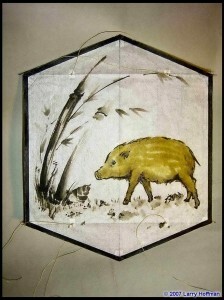 To toot my own horn a little, the picture of the boar and bamboo is one of my “mini” kites. 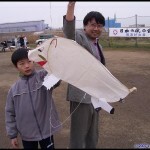 20 X 24.5cm in size, the vertical spar is 0.8mm in size and the horizontal spars 0.5mm. 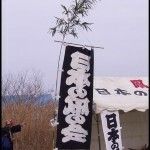 The paper is hand-made “washi” called Mino Kami, named after the district in Japan where it is made. 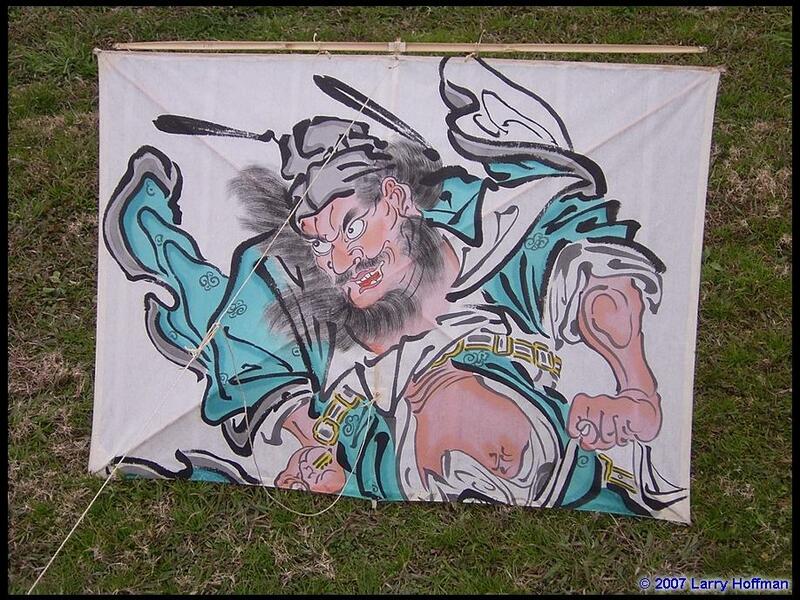 The graphic on the kite face was printed with a jet ink printer and the bridle string is thin Kevlar. 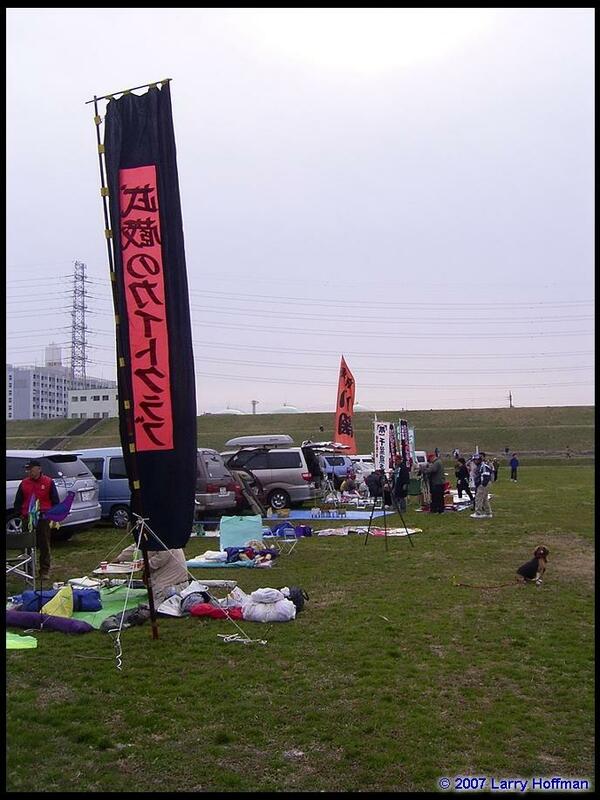 Both horizontal spars are bowed and it flies very well in light breezes. 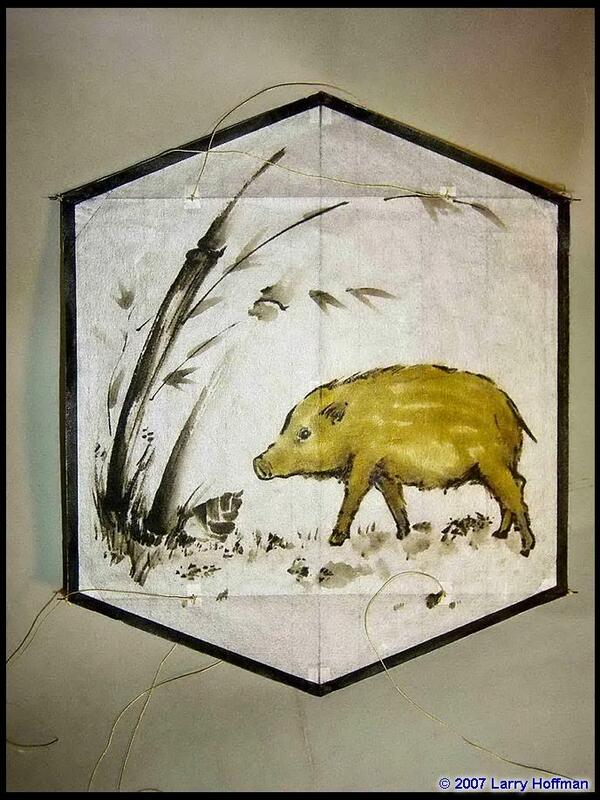 It should be noted the image on the kite face, that of the boar, represents the animal for this year’s Chinese calendar image. 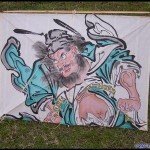 One of twelve Zodiac images, the boar, or in some areas referred to as the Year of the Pig. 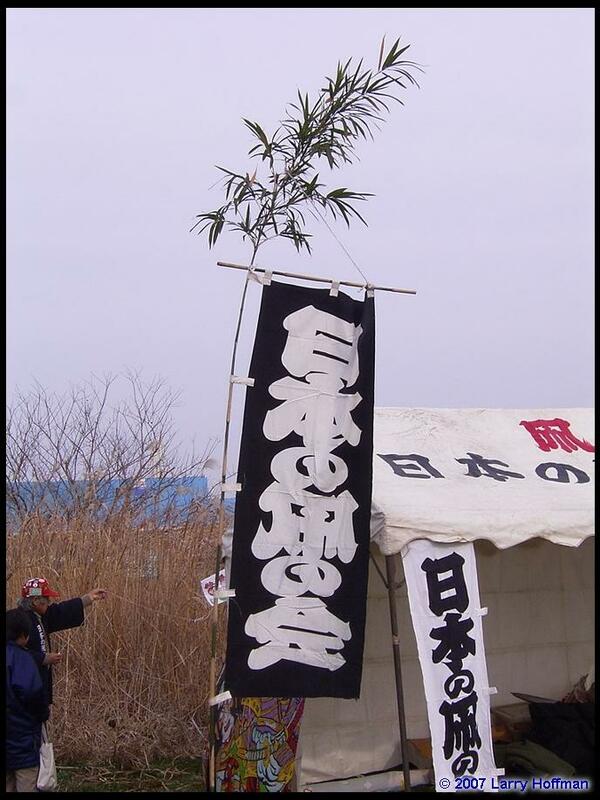 People born under this sign are said to possess “tremendous fortitude and great honesty.” A most auspicious time to be born!!!! 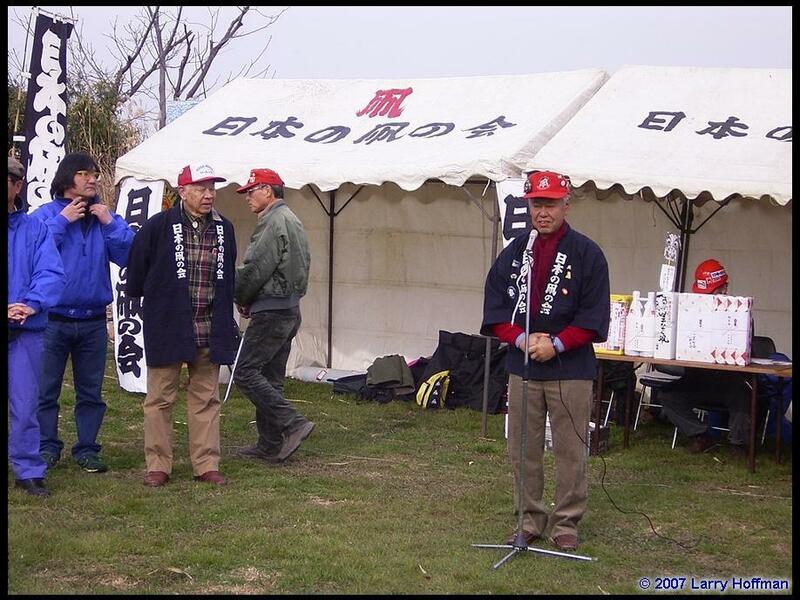 Cut short by lack of wind, all of us look forward to next year’s event when we will all meet to again swap more stories (lies? 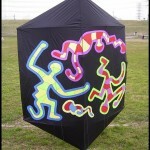 ), show off our new kites and once again fly our old standbys!!!! 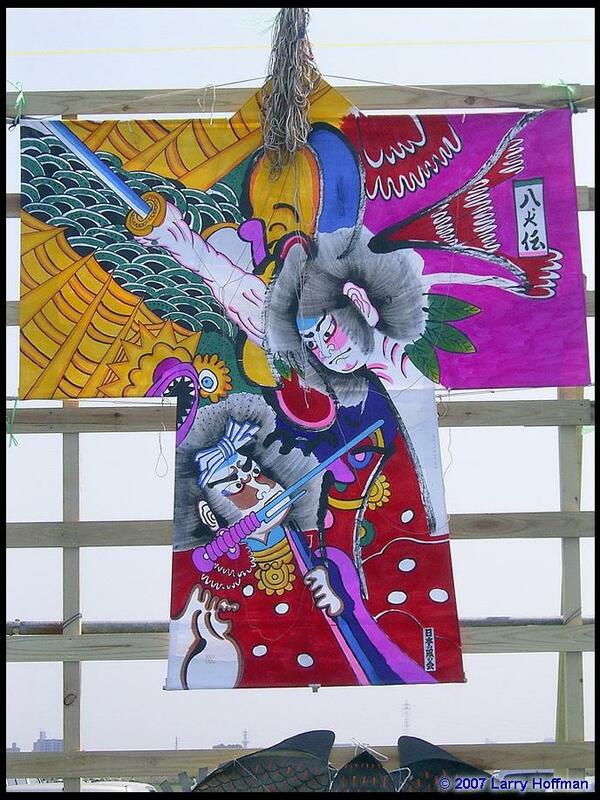 For those of you planning a visit to Japan in early January, please leave time in your schedule for a one-day bit of “fun in the sun” with us!!! 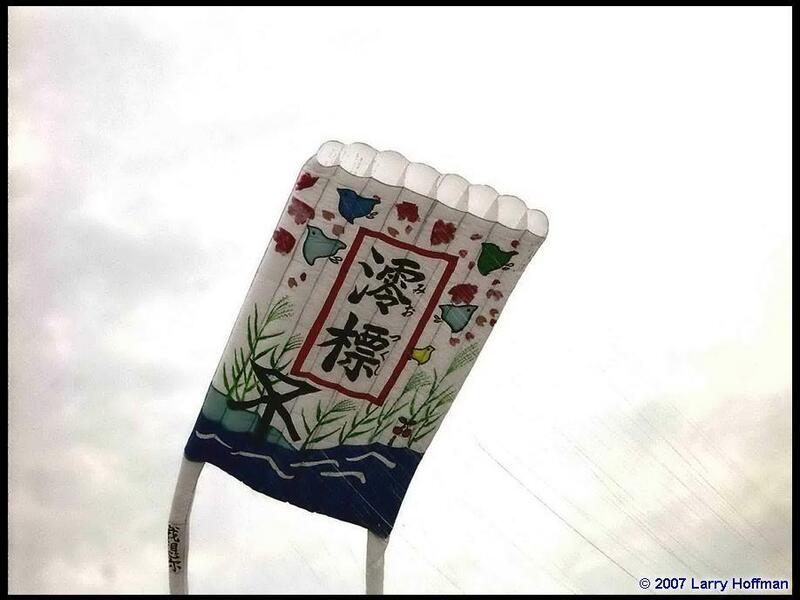 YOKOSO, or welcome to our kite festival!!!!!! 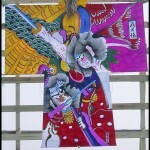 This entry was posted in 2007, Issue 52 (Jan/Feb), KL Archive and tagged festival, japan, new years.